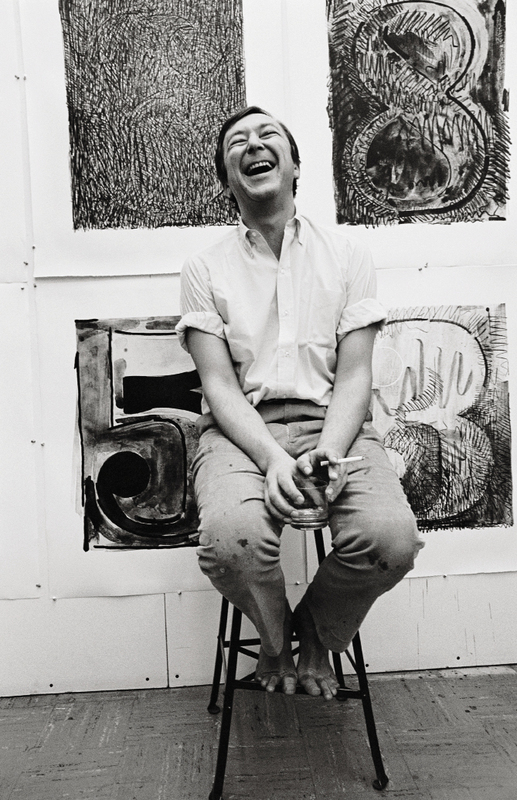 Jasper Johns at Los Angeles’ Gemini Graphic Editions Limited Studios in 1968. Johns created the 1985 Spoleto Festival USA poster. 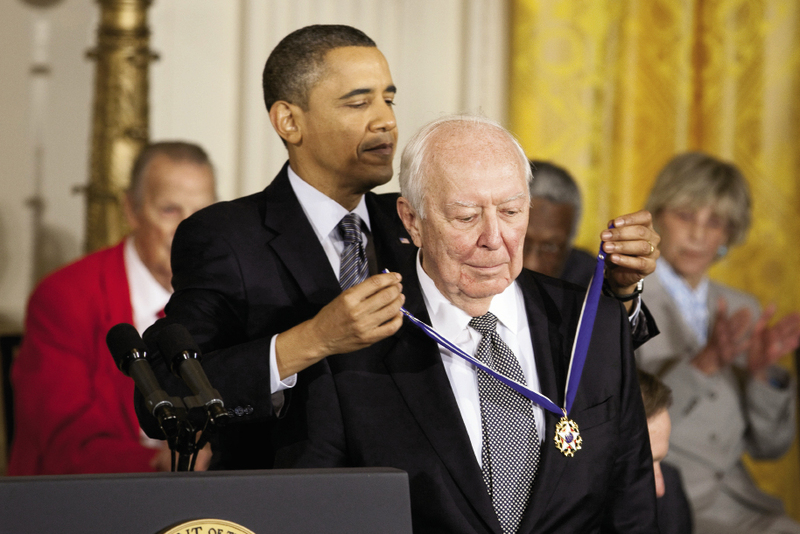 art giant: In 2010, President Barack Obama awarded Jasper Johns with the Presidential Medal of Freedom. “I wasn’t allowed to go to King Street north of Calhoun by myself when I was growing up. 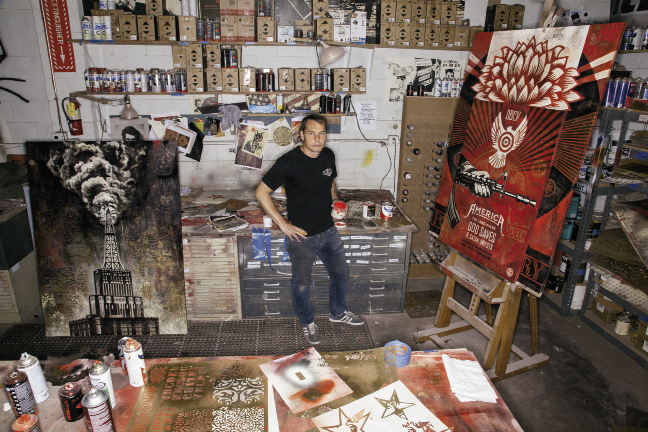 It was a scary wasteland up there,” recalls Shepard Fairey, who will be creating an art installation in a King Street storefront as part of the Halsey Institute of Contemporary Art’s May exhibition showcasing his work. 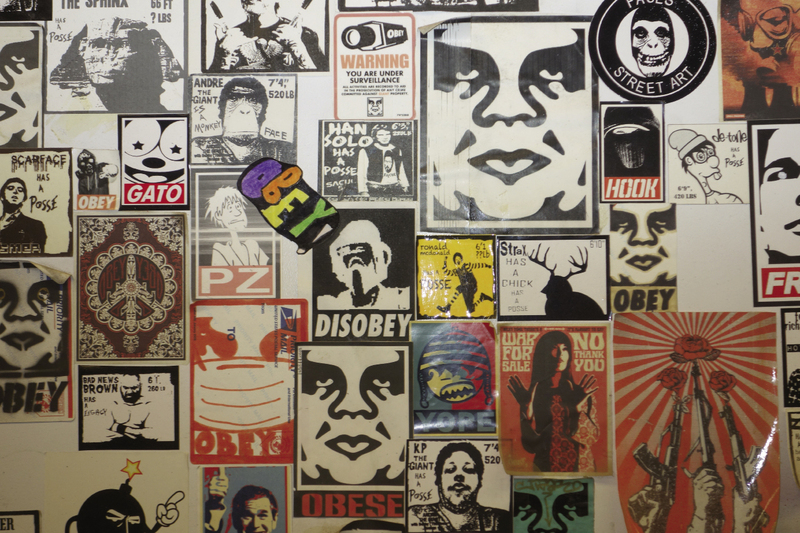 Clearly, a lot has changed since the mid-1980s when Fairey was a teenage skate punk posting his now iconic “Obey Giant” stickers around Charleston and beyond. Those changes run much deeper than the refreshed building facades and influx of retail and foodie havens that have overtaken King Street, and perhaps no one recognizes this more acutely than a homegrown artist like Fairey, who says he fled the “duck print-dominated, watercolored, watered-down” artistic milieu of his youth to pursue gritty, provocative street art way out of town. He eventually landed in Los Angeles and then in the national spotlight when his Obama “HOPE” poster went viral in 2008. Over the last two-plus decades, Fairey has matured from guerilla street artist to commercial success, and likewise Charleston’s cultural and artistic DNA has also evolved. There’s an undercurrent that eagerly peers beyond the provincial; nostalgia is making way for new ideas. 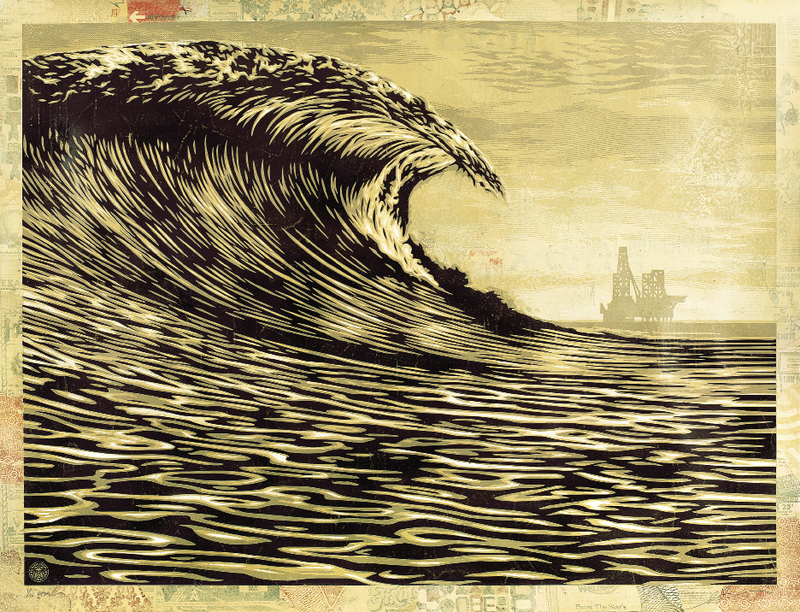 If art conveys power through symbolism, then the confluence of this trio—William Halsey, Jasper Johns, Shepard Fairey; three Palmetto State artists from three generations—adds up to more than an anniversary celebration. It’s a symbolic triumph of artistic insistence and integrity and an exploration of what it means to return. To return to an idea or an image, as both Fairey and Johns do in their work, as the show’s title, “The Insistent Image,” suggests. To return to a place and find what is revealed when one revisits and looks again. That’s what anniversaries do—they invite us to return, to reflect, to reconnect, to rediscover. Along with his excitement at presenting an artist of Johns’ stature, Sloan notes the irony; his entire career, including the last 20 years at the Halsey helm, has been focused on scouring the margins and “shining a light on artists who aren’t exactly mainstream—what I call ‘the oddly overlooked,’” he says. “This show is an anomaly in [the Halsey’s] history. 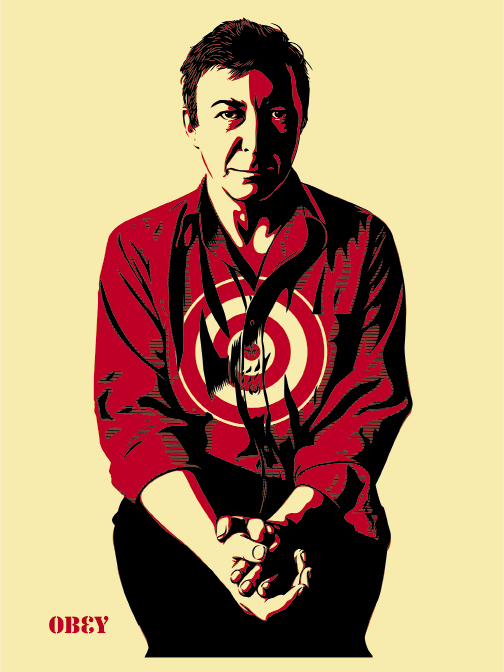 Shepard Fairey and certainly Jasper Johns are not the oddly overlooked.” And yet, Sloan explains, the bold pairing of these two for this anniversary makes perfect sense, given the fact that both are “consummate graphic artists, in the highest sense. 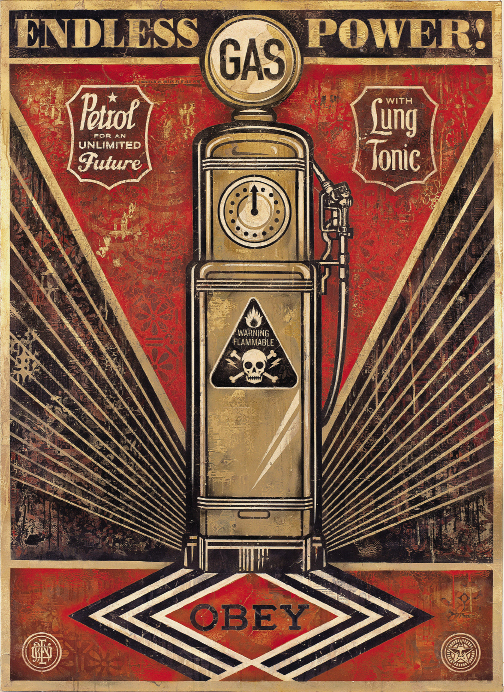 Each have specific graphic vocabularies and archives of imagery and symbols,” he says. But what makes the pairing all the more powerful is the context of the Halsey. The show’s glue is the strong personal affection and professional admiration that William Halsey and his wife, Corrie McCallum, felt for Jasper Johns; it is Johns’ artistic influence on Shepard Fairey (evident in Fairey’s portrait of Johns), and Fairey’s long relationship with Charleston and the Halsey (which gave Fairey his first local show in 2002). And especially, it is William Halsey’s “pioneering legacy of providing an alternative view of what art might be,” says Sloan. William Halsey (1915–1999) grew up in a large house on George Street where four generations of his family had lived. He loved art as a child and studied drawing with Elizabeth O’Neill Verner, the heralded Charleston Renaissance artist of the 1920s. She recognized his talent and her limitations in nurturing it and encouraged him to pursue art at the University of South Carolina. Halsey did so, only to find that the university’s art program in the early 1930s was slim, conservative, and uninspired. The only benefit, Halsey once said, was meeting fellow artist Corrine McCallum, who was slim, not-so conservative, and very inspired and would become Halsey’s wife, artistic partner, and inspiration throughout his life. After four semesters, Halsey left USC and eventually went to study at the School of the Museum of Fine Art, Boston, which was a life-changing, eye-opening experience. “Going from the University of South Carolina art department to Boston Museum School was like coming into a great new world. All of the sudden, you had a great museum, and you had art galleries, and you had people who really had some background and training. And you find out things like contemporary art, which you never heard about in South Carolina. It was really absolutely wonderful. The difference was just incredible,” the artist said in a Smithsonian Institute oral history of him and McCallum. The couple left Boston to travel for a few years, before returning to Charleston in 1941 with little money and two little children. As modern art mavericks amidst a plethora of conventional landscape realists, they carved out a small niche on the city’s fringes. 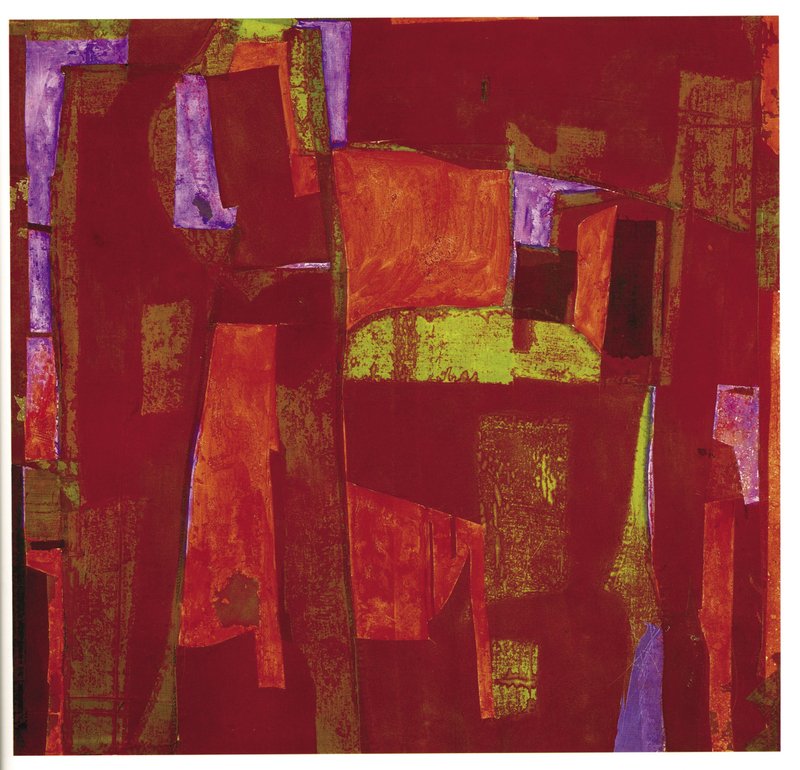 While other local artists were finding commercial success selling “tourist” art, McCallum and Halsey insistently pursued innovative abstract works and scraped by teaching classes at the Gibbes and later at the College of Charleston. 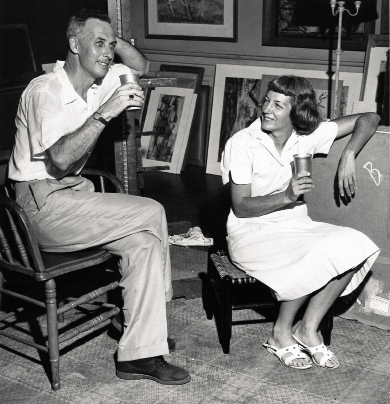 Despite the financial challenge and loneliness of being among the few modern artists in Charleston (“it was pretty desolate,” McCallum noted), they stayed true to their passion. “As far as I’m concerned, art has never been about what people want. It’s about what you want to do and some things you find necessary to do,” said Halsey in the oral history. “I felt I could be more useful in my native state than anyplace else. If there was a wider distribution of creative artists working in smaller communities, there would be a wider interest in and understanding of contemporary art in this country,” he once wrote. Through teaching, exhibiting, and continually painting against the prevailing tide, Halsey and McCallum created a small clearing for Charleston’s art scene to eventually expand into, a clearing that 50-plus years later is broad and robust and sustains a well-regarded institute dedicated to providing “a multidisciplinary laboratory for the production, presentation, interpretation, and dissemination of ideas by innovative visual artists from around the world,” as the mission of William Halsey’s namesake gallery proclaims. How fitting, given Halsey’s desire to “be useful in his native state,” that the Halsey Institute marks this anniversary milestone by bringing home two “innovative visual artists from around the world” whose roots, like Halsey’s, are local. 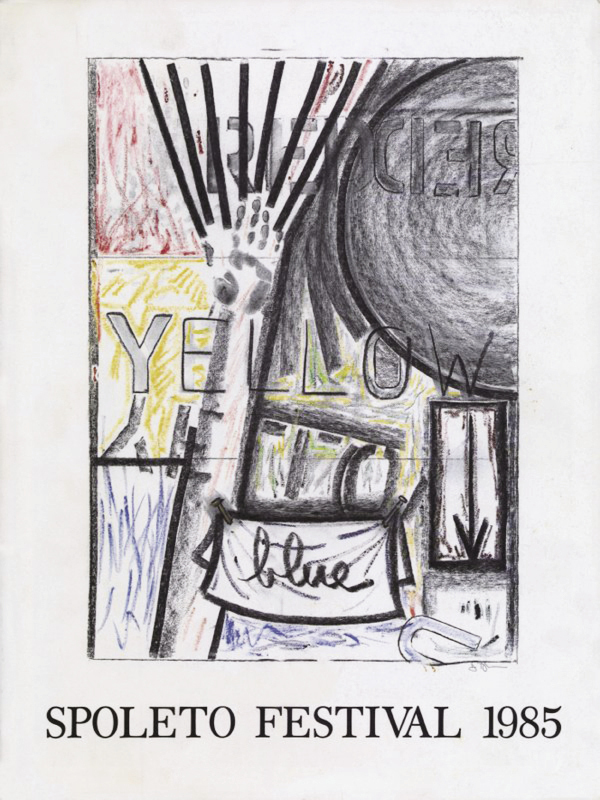 The name Jasper Johns hardly needs introduction. Even if your art history is dusty, you likely know that you should know it. A quick Google search confirms it: Oh that artist, the one who painted the white flag, the target. 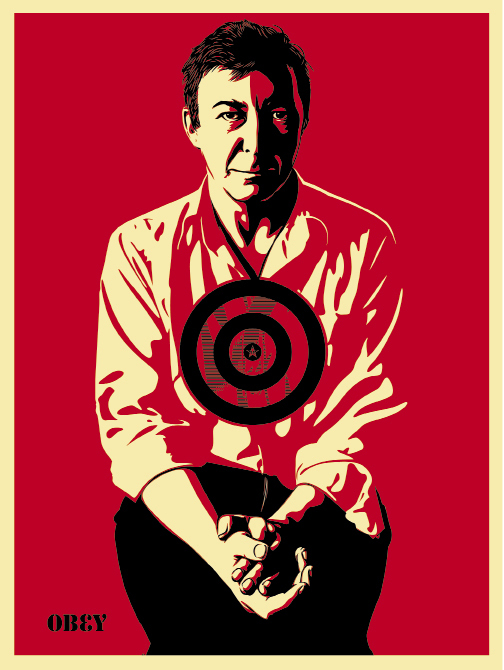 The one in the litany of famous pop artists: Warhol, Rauschenberg, Johns. 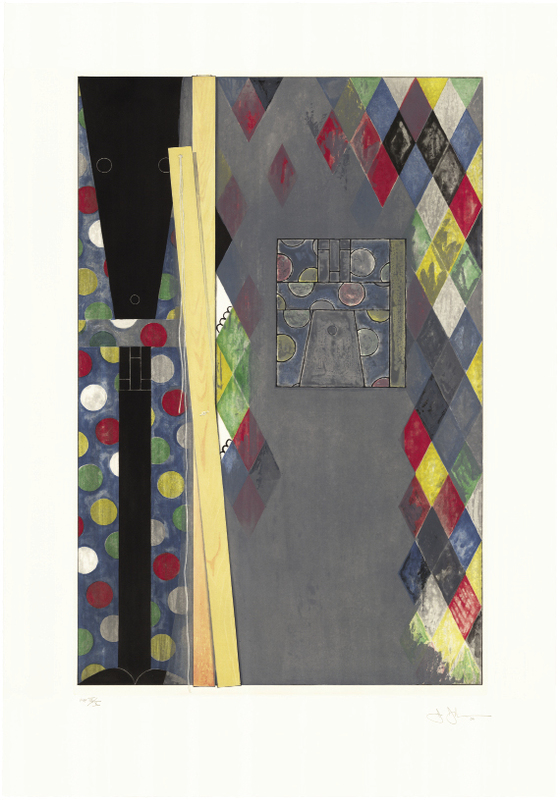 Unlike Halsey, Jasper Johns, who was born in 1930 and grew up in Allendale and Richland counties, knew he would suffocate artistically if he did not leave South Carolina. Also unlike Halsey, Johns only made it through three (not four!) semesters as an art student at USC before dropping out and moving to New York. 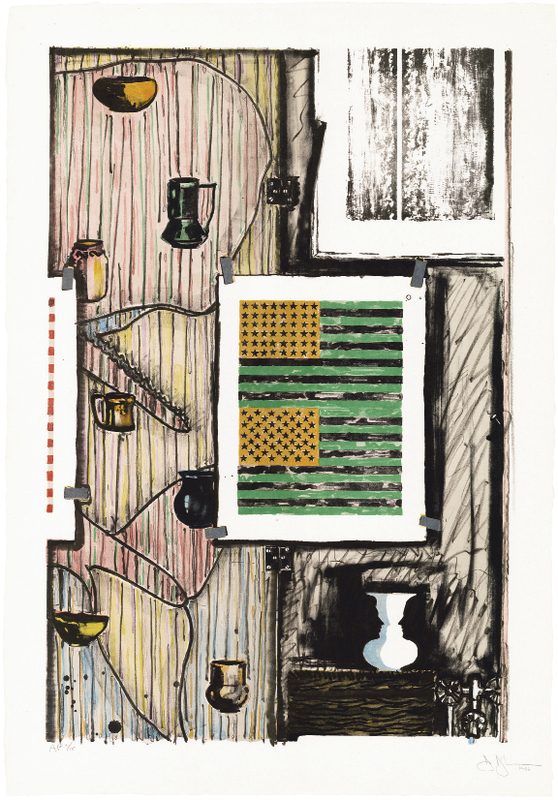 But much like Halsey, Jasper Johns felt a creative compulsion, an artistic insistence; he knew “this image of wanting to be an artist—that I would in some way become an artist—was very strong,” Johns told biographer Catherine Craft. Johns not only became an artist, he became one of the most iconic and successful contemporary artists of his time; his work has been exhibited at the Whitney, MOMA, and the Met and is included in the permanent collections of major institutions around the world. In 1980, his Three Flags was acquired by the Whitney for $1 million, then a record-breaking price for the work of a living artist. In 1998, the Metropolitan Museum of Art paid an undisclosed sum (experts estimate $20 million) for White Flag. During the 1960s, Johns frequently returned to the Lowcountry, where he owned a house and studio on Edisto, the island where his much younger half-brother, Robert E. “Bobo” Lee, a (pit) master of the Southern art of barbecue, still lives and works. And when Johns did come to Edisto, he would visit William Halsey and Corrie McCallum in Charleston. “At the time, there was really only a small art scene in Charleston, and my parents were the only ‘avant-garde’ of the city, so if anyone was to meet Jasper, it would have been them,” says Louise Halsey, the youngest of the three Halsey children, who is now a textile artist in Arkansas. Louise remembers Johns fondly: “a true Southern gentleman, he wrote thank-you notes and responded to Christmas cards. He was always gracious and generous, and you were keenly aware of his intelligence.” He occasionally joined the Halsey family for drinks, dinner, and lively conversation and had a particular fondness for Corrie, with whom he shared lithography techniques as she was becoming interested in printmaking. When a teenage Louise embarked from New York on a European trip with her parents, she stayed at Johns’ Riverside Drive apartment the night before they left. “There was art everywhere; there were Andy Warhol Brillo boxes used as side tables,” she recalls. After Johns’ Edisto beach house burned down in 1966, his visits to Charleston dropped off and his interactions with the Halseys dwindled to periodic correspondence, including a telegram Johns sent Louise on her 18th birthday. For Fairey, using repetitive motifs gives his work visual and conceptual cohesiveness, a practical necessity in the early days when he was collaging small posters into street art. “I’ve always felt that my work was not about the individual image but the cumulative effect of a body of work that people would recognize as related,” he says. 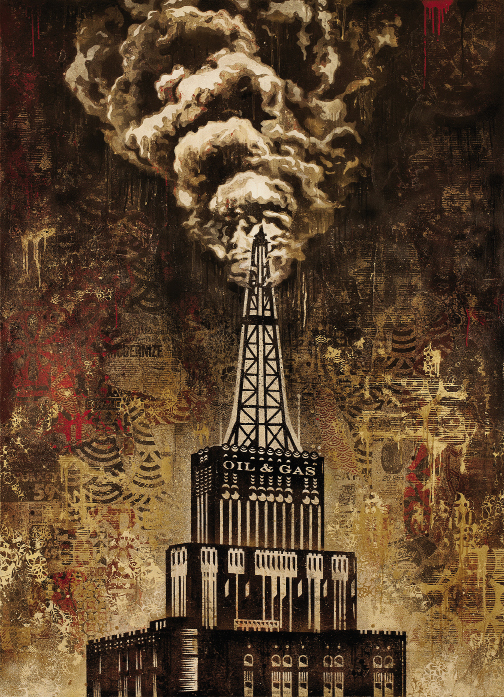 The cumulative effect of the body of work that the Halsey Institute (née Gallery) has brought to Charleston over the last three decades is, like Fairey’s and Johns’ work, a celebration of insistent creativity and expression, an artistic impulse and compulsion not limited by geography or time and place. By featuring the work of South Carolina’s native sons, this show, says Sloan, underscores the fact that important contemporary art can originate anywhere, even in Charleston. Just as William Halsey and Corrie McCallum taught us back in the more “desolate” days when Jasper Johns was passing through. 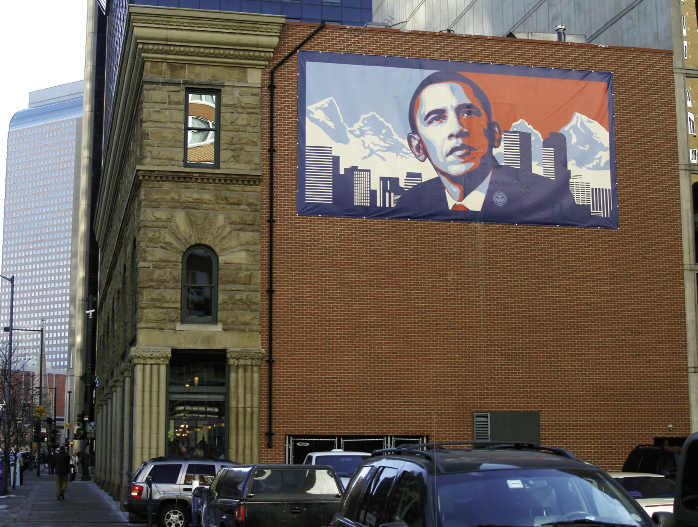 And now he returns, as does Shepard Fairey, as does our gratitude for these bold pioneers. 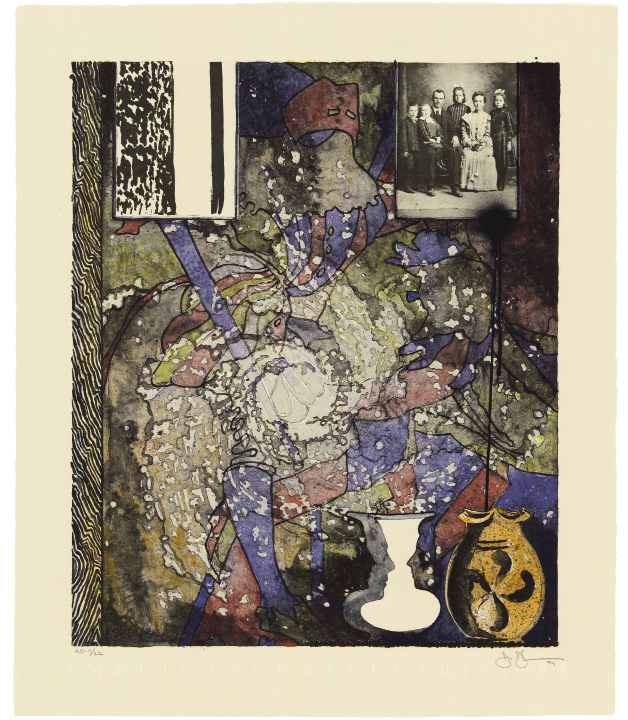 Johns’ master printmaker discusses working with the artist for more than 30 years and producing the series of 16 prints included in the exhibition. Wednesday, 6:30 p.m. Simons Center for the Arts, Room 309. Free. Thursday, 6 p.m. Charleston Music Hall, 37 John St. $5-$20. To reserve tickets, visit halsey.cofc.edu/events/fairey-lecture. Thursday, 6-8 p.m. Halsey Institute. Free. Saturday, 2 p.m. Halsey Institute. Space is limited. Please RSVP at halsey.cofc.edu/events/fairey-gallery-talk. Director Mark Sloan leads Halsey Institute members on a guided tour. Thursday, 6 p.m. To join, visit halsey.cofc.edu/support/membership/.